For those who are looking for the Most Durable Earbuds, we have put together this list, ofEarbuds that don’t break. I think you should always buy a heavy duty earbuds, because of regular ones, broke very quickly. There are some Earbuds which are available in the market today based on the consumer’s preferences and budget. The most common earphone brands include Sennheiser, Sony, Panasonic, Beats by Dr are,Bose, Plantronics, skull candy and much more. Most Durable Headphones (In-Ear) The different varieties of earphones include sports earphones, wireless headsets, soundproof earphones, hands-free earphones, in-ear earphones, over the ear earphones and much more. There are even Waterproof Earbuds which are available in the market that one use during the rainy weather and they are also sweating absorbent which makes it perfect for a run. 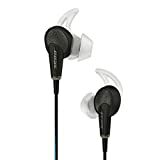 The main reason for people preferring In-Ear Headphones over Headphones is that it is comparatively lighter and smaller than headphonesand has a comfortable fit than that of headphones, because after a certain period of time the cushion on the headphones gets damaged and causes a bit of discomfort which is not the case in earbuds as they can be used for a longer period of time without bearing any damage. 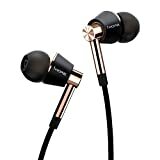 You can also check some of theComfortable Headphonesalong withBest Headphones Under 100. Headphones are not that portable when compared to earphones mainly because of its size and occupy much more space in a bag or an individual’s travel luggage and might thus cause inconvenience to the individual. Every individual whose has used an earphone should be familiar with the most common or rather annoying problem, the earphone wires that get entangled. Detangling these wires takes up a lot of time and energy and sometimes in the process the wire gets pulled and breaks apart.Thus it becomes necessary for individuals to purchase earbuds that have strong and sturdy wires and do not get entangled easily. So, I have made this list of the most rugged earbuds which you can buy and also checkBest Earbuds. There are a variety of Most Durable Earbuds which are available in the market; however, we have narrowed down the top 10 Rugged Earbuds that one can purchase based on their budget and preference of earphone. The Bose QuiteComfort 20 Noise Canceling Earbuds are the first in-ear noise canceling headphones which are engineered by Bose. These earbuds provide excellent sound quality even at low volume levels. The sound produced is crisp, sharp and clear. The voice quality of the call, when talking to the person on the other end is clear and does not face any kind of disruption of broken voice. The sound produced by this earbuds makes it suitable to listen to any kind of music such as rock, metallic or even soul music. It’s also suitable for morning jogs and provides the perfect comfort that one needs during their jog. The main feature of this earbuds is its noise canceling feature which works extremely well in all conditions and its one Strong Earbuds for Running. This feature is extremely useful during air travel as it cuts out the unwanted sound of the engine that is quite disturbing at times especially during a long journey. It is also useful and beneficial for people who prefer isolation of sound during their work as it helps them become more productive than usual and as for the Durable Part, we all know Bose are known for their Solid Product Quality and we can say that, If you are looking for a Durable Earbuds then you should go with this. It also has an aware mode which can be switched on at a touch of a button and it makes the user aware of his/her surroundings without removing the earphones. It has a great battery backup of up to 16 hours of regular use and even if the battery runs out of power the user can still use the earphones to enjoy the finest quality of sound even in noisy situations. The price for these earbuds is on the upper range but given its features and the quality of sound that is produced through these earphones, it’s completely worth the buy for those looking for a noise cancellation earphones from a branded and reliable company. Shure is known to be one of the most audio trusted brands that have a worldwide recognition and is known for its legendary sound performance and history of innovation in the audio industry which has been consistent over a period 90 years. The new Shure SE215-K sound isolating earphones are designed with a single dynamic micro driver that produces the true quality of sound with the perfect bass and detailed enhanced sound that completely immerses the person into what they are listening. It has a gold-plated 3.5mm jack which is made up of top quality materials. It has sound isolation technology that prevents the penetration of any other unwanted surrounding sounds. It takes a bit of time to adjust with the design of the earphone as they have a different fit on the ear as compared to the normal earphones, however, once the user gets used to the fit of the earphone it will surely be a pleasurable experience. In my opinion is one of the most reliable earbuds which sounds amazing as well. The earphones have an optimized nozzle that rests comfortably on the ear and do not provide any discomfort even after a prolonged use. They are light weight and compact which makes it extremely portable and can be used for even for morning walks. It has a strong and sturdy detachable cable wire that attached to the earplugs, which gives it some extra protection and that’s why we have added this in our Most Durable Earbuds for 2019. The price for these earbuds is pretty good keeping in mind the quality of the cables, the reliability and customer service of the brand, the sound produced and also the quality of materials used to design this earphone. 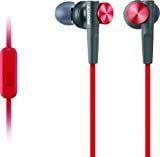 It provides the same sound quality those In-ear headphones which are double its price offer. It is a perfect buy for those individuals who are on a budget and looking for a pair of Rugged Earbuds that provide great sound quality along with noise cancellation features. The 1 MORE triple driver In-ear earphones are one of the best durable earbuds which are available in the market right now. It has been tuned by the world-renowned and Grammy award-winning sound engineer Luca Bignardi. They live up to the expectations that they promise and deliver clear and crisp sound without any disruptions or glitches. Its produces exactly the same sound that an artist would want his audience to hear. Having triple drivers makes it exceptional as it produces surround quality sound in such a small and compact earphone. With the new technological innovations coming in each day, a high-resolution sound is a new trend and this earphone is high-resolution certified which keeps it track along with the modern-day technology. The angled ear fittings which are oblique in design, fit perfect into the ear canal and if not all users are provided with 9 sets of ear tips so there is sure a size to fit all ear types. The clarity of the call is seamless and the person on the other end can be heard clearly even if the surroundings are noisy this is mainly because the earphones fit so well in the ears that block a majority of the surrounding sound even though it does not have the noise canceling features. The cables and the earplugs of the earphone are of the top quality sturdy material and lives up to the expectation of having a comfortable fit on the ears. It comes in two colors which are titanium and black and gold. They also come in a sturdy faux leather case which is compact and also stylish at the same time. Given the price range of this earphone, it’s a perfect buy for all music lovers and anyone who prefers to immerse in their music while listening to it. It passes through the back of the neck thus reducing the length of the cable wire in the front which is a safety feature. The cable wires are comparatively thinner when compared to other earphones of the same price. Sony is a trusted brand in the audio industry that has been delivering great devices for sound since many years.The Sony MDRXB50AP Earbud is one of its many great innovations that it has delivered throughout the years. Although they do not come with a noise canceling feature the earplugs fits so comfortably and perfectly in the ears that they eliminate most of the surrounding sound thus providing a pleasurable music experience. It comes with a convenient carrying pouch that one can carry on the go. 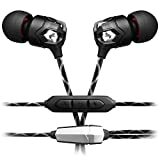 Basically, these are one of the most durable earbuds under 50 bucks and If you are looking for really good earbuds which you can also use while Working out, then this is the perfect In-Ear Headphones. Sennheiser are the most preferred company when it comes to purchasing a perfect set of headphones that will surely last for a long period of time. Over the years it has delivered some of the Best Earbuds which produce a sound like no other can do. The urBeats earphones deliver crisp and clear sound along with a lot of bass. It comes with Dynamic Transducer that delivers the right amount of bass as promised to the users. It has a hard chrome finish on the earplugs which makes it suitable for rough and rugged use and is lightweight which makes it a perfect earphone may it be for travel, work or exercise, it can be used everywhere. The drivers used in this In-Ear Headphones are of very high quality and hence it delivers music with that extra bass. These earbuds come with a microphone which also doubles up as voice control button. These buttons are sturdy and the voice over the microphone is heard with crystal clear clarity over the call. There are also replaceable ear tips provided for better fit and comfort. These earbuds are designed in such a way that one does not have to worry about them breaking apart or giving away anytime soon. It produces the perfect sound for any genre of music be it Metallica, rock, jazz or pop these headphones can handle it all. These are perfect for anyone wanting to listen to music with a bit of extra bass and also for those who use their earphones during physical activities and given the price range of this product it is an economical earphone that produces a sound that can be compared to the high-end earphones. One can rely on beats as a brand as they have consistently been producing earphones and headphones of high quality over a period of years. The V-MODA Zn In-ear Modern audiophile earphones with microphone are considered to be one of the best sports earphones. It produces such high-level quality of sound and bass that is hard to compare it to any other earphones as they can’t match up with the caliber of these earbuds. The clarity of the sound produced by V-MODA Zn is astonishing. There is not even the slightest distortion of sound while listening to music or even an audio book, even at the highest volume. The capacity of this earphones is pretty high and delivers sound way more than what it promises to. The quality of the cables is strong and sturdy and does not break apart easily. The earphones fit comfortably and relax perfectly on the ear canal. There is no discomfort that is experienced even after prolonged use. The drivers used in these earphones are of high quality and boost the tonal accuracy in order to provide a pleasurable listening experience to its users. It delivers a true quality of music that every listener expects to hear. They produce the perfects highs, mids, and lows that help to deliver exactly what the artist wants his audience to hear. The main and one of the most important features is that these are tangle free earbuds which mean that the major worry of one’s earphone getting entangled is completely eliminated. The customer service provided by the VMODA is exceptional, they provide all the help that their users would need and if any defect arises in the earphones during the warranty period, they take complete responsibility for their product and replace them with new ones. The price range of this earphones is on the higher side, but if one is willing to invest in a good pair of earphones that provide perfect sound quality and one of the Most durable Earbuds. The Bose sound sport In-ear earphones are designed to stay in-ear and provide the best quality sound even while the user is running or at the gym. Mostly a majority of earphones which are available in the market today are not appropriate for the gym as they break apart during exercise or stop working because they are not sweat or weather absorbent. These earphones produce crisp and clear sound even at the maximum volume because of its triport technology. The proprietary stay hear tips fit perfectly onto the ears with a much level of comfort and there are also additional ear tips provided in order to provide better comfort to users. Even after prolonged or vigorous use, there is not even the slightest level of discomfort which users experience. The main feature is the weather resistance and sweat absorbent capability which makes it a really Durable In-Ear Headphones. While working out individuals are bound to sweat a lot, and these earphones are the perfect companion they need for a workout. The cables of these earphones can easily withstand rough and rugged use with much of ease. All the components of this earphone are made using high-quality material and are engineered by experienced professionals who assure users of reliability and quality of the earphones. The users can choose from two colors, frost, and charcoal based on their liking and preference. These Sports Earbuds come in a hard sturdy case which is compact and portable. The only shortcoming of this earphone is that the cable wire is not long enough as compared to normal earphones, it may get uncomfortable for people who are tall or who prefer to move their phone with ease with a long cable wire. The price range of this product is amazing for the kind of sound and fitting that it offers, it’s a must buy for people looking for a pair of workout earphones. Plantronics is a well-known brand in the audio industry that has been delivering sound products of high caliber and top quality. 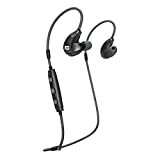 The Plantronics backbeat fit Bluetooth earphones are the sports earphones by Plantronics which can be used for running and exercise. They fit perfectly onto the ear with much comfort and ease and relax on the ear canals even during vigorous exercises without falling out. They are made up of high-quality sturdy material which lasts for a long period of time even with rough and rugged use. Its one of the Best Earbuds For Running and it completely eliminates wires which are the most common problem that people face with workout earbuds, the wire mostly gets entangled and this poses a risk of an individual falling or tripping while working out. These Bluetooth earphones can easily be paired up with a phone and the phone can even be kept at a distance while working out. These are completely waterproof and sweat proof which eliminates another worry as mostly sports earbuds get damaged as they are not sweat proof. These Durable earbuds can also be used during the rainy weather as per individual’s desire without worrying about the earbuds getting damaged. The drivers used in these earbuds produce sound with extreme clarity without any level of distortion. It makes the music listening experience pleasurable to the users. It has an amazing battery backup which lasts up to 8 hours on a single charge which is pretty impressive for a Bluetooth earphone, the approximate charging time for these earphones is about 1 to 2 hours which is satisfactory. Upon first time use the earbuds might not be comfortable to the ears because of its unique design; it takes about a few days till the user gets familiar with the fit of the headphone. The price range is economical and is a must buy for people looking for a Durable sports Earbuds. Skull candy is a very popular brand amongst today’s youth and also people who appreciate the music with perfect bass, highs, and lows. It’s well-known for its innovations in the audio industry and its variety of earbuds and headphones that have a consistent sound quality. The skull candy smokin buds 2 is the second edition of the smokin buds series. These wireless earphones are the ideal earphones for a morning run or exercise at the gym. The wireless feature allows better movement of individuals as the issues of cable wires is eliminated. The phone just needs to be synced with the earbuds through the Bluetooth feature and can be used for up to 7 hours at stretch on a single charge which depicts it amazing battery backup that is an essential component of every Bluetooth earphone. These In-Ear Headphones come with a comfortable neck collar which is made up of high-quality material and does not break easily. The earphones are also sturdy and durable which can be used for long period of time. It produce sharp and crisp sound which rarely produces any distortion in the clarity of the sound. The sound produced through these Bluetooth earbuds is in its pure form just as users would prefer to listen to their music. It is very difficult to find sports earbuds which have a comfortable fit on the ear, however, the skull candy smokin buds 2 is considered to be one of the best and most comfortable earbuds. The price range for these earphones is way too less for the kind of sound quality and material that the brand offers. It is a must-have for all those looking out for a budget wireless Bluetooth earphone that is from a reliable and trusted brand and also produces exceptional sound quality. The MEE audio x7 wireless Bluetooth earphone is basically designed for an active and fast moving lifestyle where individuals are continuously on the go. It is made up of a perfect combination of well-defined high precision sound and durability, which are the two main factors that an individual looks for while purchasing sports earbuds. These In-Ear Earbuds are Bluetooth enabled which allows freedom of movement for the individual and eliminates the hassles of detangling wires which is a troublesome and time-consuming process. It comes with Liquipel Watersafe Nanocoating technology which makes it both waterproof and sweat absorbent which is essential during workouts. The earphone fit in the ear canal in comfortable and relaxed manner and do not move or fall out even during rigorous workouts. The fit may feel a bit weird as they are quite different from the regular earbuds, but regular use of the earphone will make the user familiar and the fit won’t be a problem. They can be worn all day long without causing any kind of discomfort or pain in the ear. High-quality materials are used in the building of MEE audio X7. The high technology Bluetooth function in this earphone allows it to connect with two devices simultaneously to receive calls and also transport media. The MEE audio x7 wireless Bluetooth earphones is an expensive purchase but is a wise investment if one is looking for good Bluetooth wireless earphones that will last for a long period of time and also something that is on par with the latest modern technology. These earphones can also withstand rough and rugged use which makes it suitable for people of all ages. When buying the most durable earbuds one needs to keep certain things in mind. Companies have become very competitive when it comes to different aspects of earbuds. The most important things that matters are sound and durability of earbuds. The earbuds with strong and quality materials are always preferred by music lovers. Another important aspect is the highest resistance of earbuds to moisture especially for athletes and fitness freaks, sweat-proof earbuds are a must. For everyday use, people prefer headphones that can endure a bit of roughness. Most companies give warranties for limited periods of time so keep that in mind when buying headphones or earbuds. Every earbud has some weak points, whether expensive or cheap. The negative points are always revealed after the first few weeks of use. Here we have made a list of most durable earbuds with keeping in mind their pros and cons, sound quality, comfort, durability and other features to help people choose the one that best suits their needs. We’ve all used the uncomfortable, unmanageable earbuds you can pick up in any grocery checkout. At best, they work a few months before a simple accident renders them useless. If you’re sick of replacing your earbuds with the season, and are looking for a pair of the most durable earbuds that were built to last, our list was made for you. The most common problem with poorly made earbuds is that the cord tangles or breaks. If this has happened to you, look fortangle free or braided cords. Tangle- free cords stop the knots that weaken your cord in the first place, while braided cords resist damage from bending or stretching. Of course, you can always gowirelessinstead. Bluetooth earbud headphones minimize cord length, connecting both earbuds around the back of your head. Anyone who’s ever accidentally yanked their earbuds out by the cord would benefit from this feature. Some of the most durable earbuds even reinforce their cords in protective materials like Kevlar. But, still no cord is perfect. If you’rereallyrough with your headphones, look for earbuds withreplaceable cordsthat you can buy separately when the first cord fails. The other common problem is water damage from rain or sweat. That’s why many heavy-duty earbuds aresplash proof or waterproof. If you’re an active user who likes to listen to music in the gym or on a run with headphones, look for anIPX4 or higher water resistance rating. Quality materials:Strong, durable plastic is lightweight and offers great protection from physical damage. Even better is metal casing, like aluminum which offers even more advantages. The thickness of rubber around the wires is also very important, not all rubber is made the same. No weak points:A lot of headphones have some kind of weak points, whether it’s badly made I connector or weird, crack-able shape of main earbud design. These weak points are always revealed after the first few weeks of use so it’s impossible to know them beforehand. Design of hinges:If any hinges are present, it is imperative they’re made for long-term use and don’t crumble after a few weeks. Cable coating:Some cables are reinforced with Kevlar and some have extra layers of rubber, but since cables are one of the usual weak points, cable strength plays an important role. Moisture resistance:For athletes and fitness freaks sweat-proof headphones are a must. For everyday use, you’d like the headphones to withstand a bit of rain that will surely come in its way eventually. Good warranty helps:Customer support play a big role in deciding to buy certain headphones. If you know that you have access to good customer support that can quickly replace your broken earbuds, then it’s much easier to make the purchase. Especially if the product has a lifetime warranty like Koss’s. There are less expensive earbuds which are capable of performing above their price tag day-in-day-out and will still give out the best audio output. The problem lies in identifying these products because they are hidden amidst tons of others. However, being armed with the knowledge we have on how to spot the most durable earbuds, we succeeded in finding them despite how few they are. It is high time we put out those manufacturers who are bent on perpetually manufacturing non-durable earbuds by sticking only to the tested and trusted durable earbuds reviewed here.